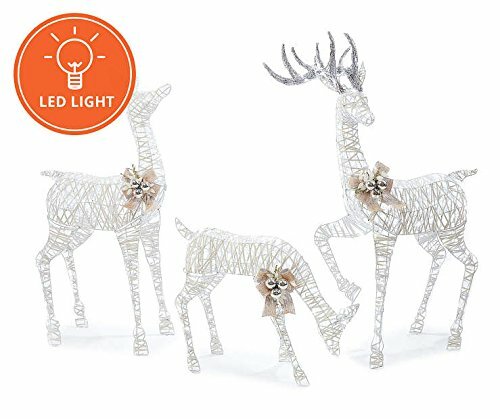 Make a beautiful display in your yard this holiday season with this gorgeous deer family set. The white hues paired with gold bows bring out the true beauty in the season. Set includes a lighted buck, doe and fawn. If you have any questions about this product by Winter Wonder Lane, contact us by completing and submitting the form below. If you are looking for a specif part number, please include it with your message. Set of 3 Lighted Tinsel Snowman Family Christmas Yard Art Decorations 35"